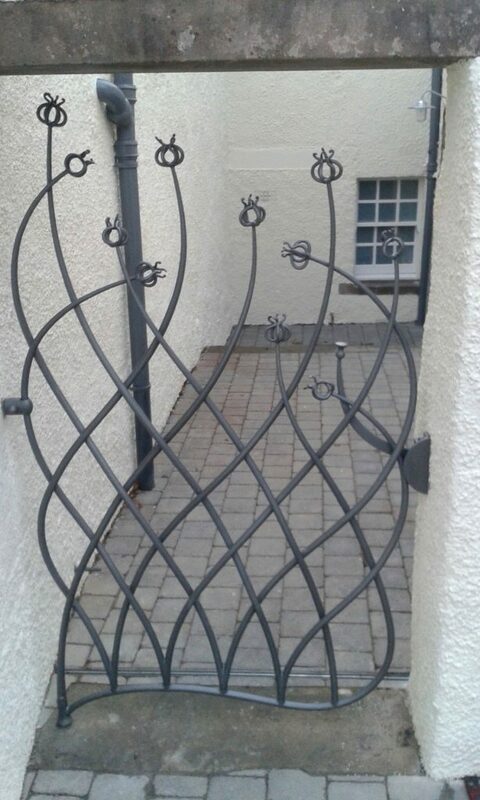 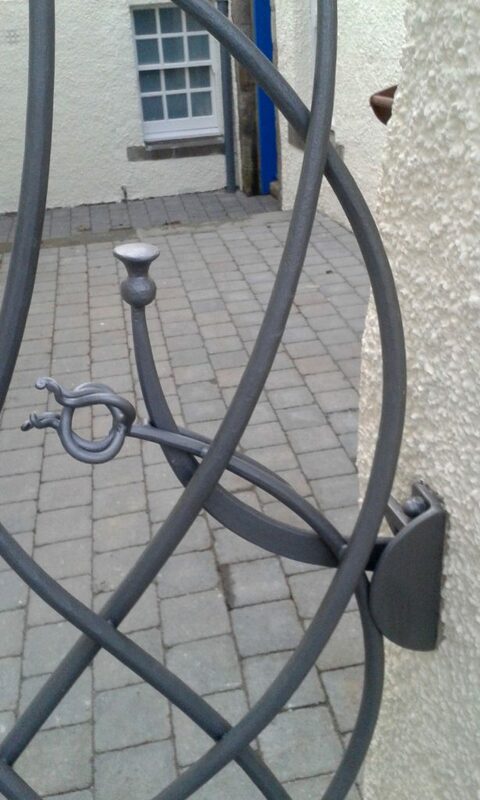 Two gates commissioned by The National Trust for cottages in the village of Culross in Fife. 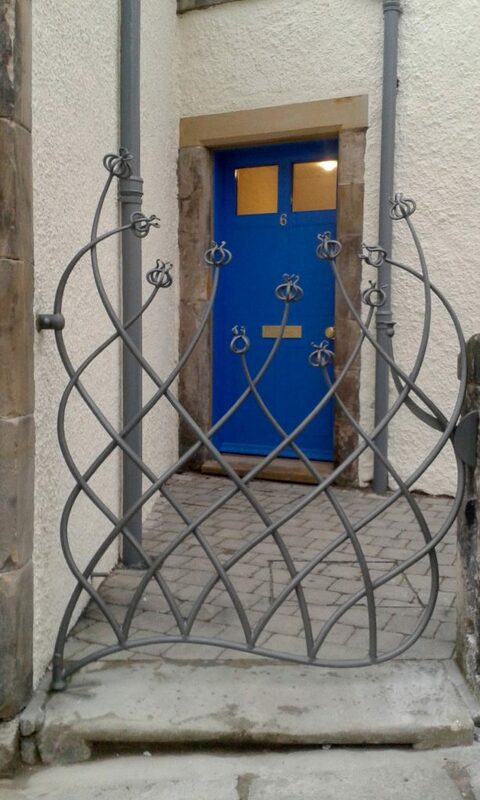 The gates were based on ideas and drawings from the children of Culross primary school. 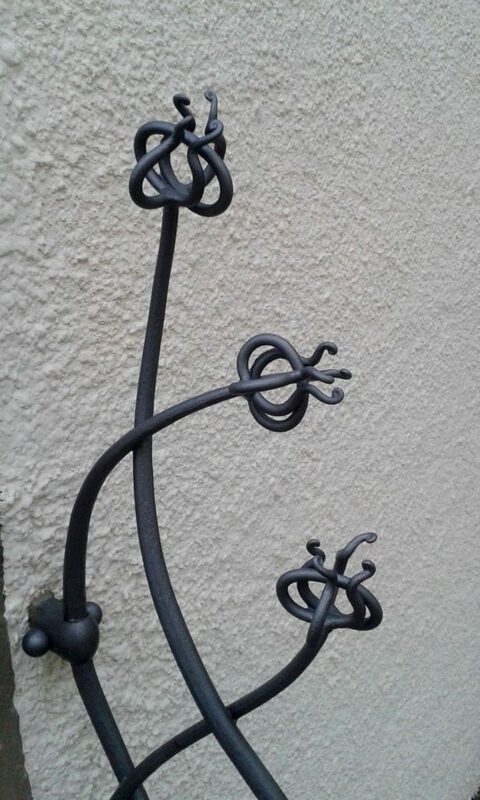 The stylised medlar fruit finials were from a historic reference about the town from the 18oos.